When the going gets tough, your favourite cosmetics are likely to get going, doing a vanishing act and leaving you forced to reapply or manage sans makeup for the rest of the day. While purchasing quality cosmetics can increase the staying power of your makeup looks, some things can dilute even the most well-made formulas. The natural oils in your skin, sweat, sunlight, heat, rain, snow and freezing temperatures all affect your makeup and can cause it to disappear long before you're ready to take it off. 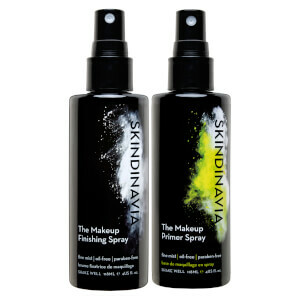 Skindinavia products have one core focus; giving you perfect makeup. 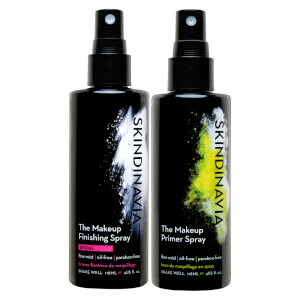 Whatever the issue, Skindinavia has a simple, affordable, product to correct it. 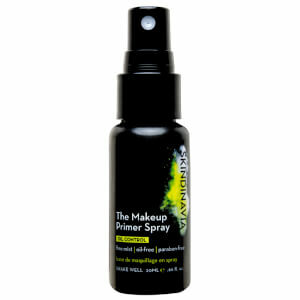 Skin is left primed and ready for flawless all day makeup. All Skindinavia products are dermatologist tested, allergy tested, formulated for sensitive skin, paraben free, oil free, breathable, extremely lightweight and cruelty free. The COOL science behind Skindinävia: Skindinävia's patented technology forms a lightweight, breathable web on top of your makeup that slowly releases over 16 hours. The timed-release evaporation retains moisture longer while also drawing heat away from the skin as it slowly evaporates throughout the day. The results are fresh, cool makeup for up to 16 hours. 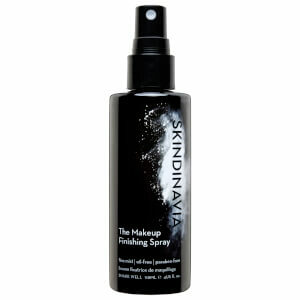 Skindinavia treatments are formulated to last a very long time. They have a time released delivery system that encapsulates millions of tiny nano-spheres barely wider than a ray of light. As each layer of spheres releases their contents, the next layer begins working. 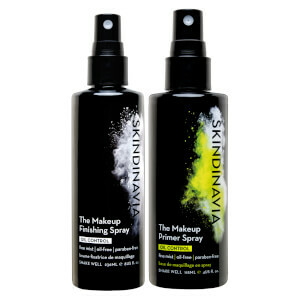 Clinical trials show Skindinavia treatments last exponentially longer than standard products.